Home » Lips » MAC Retro Matte All Fired Up Lipstick Review, Swatches, Price & Dupes! MAC Retro Matte All Fired Up Lipstick Review, Swatches, Price & Dupes! 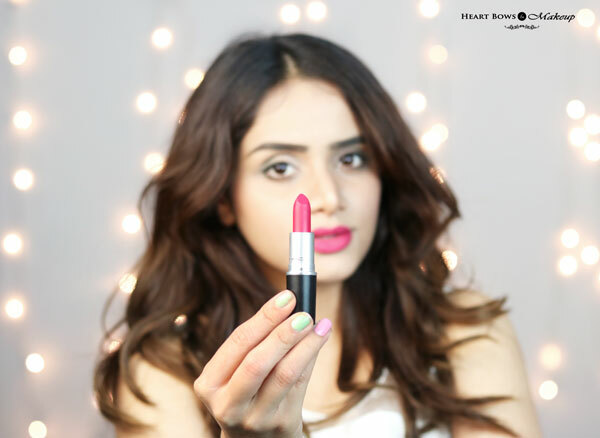 MAC All Fired Up Lipstick Review, Swatches on Indian Skin, Price, Buy Online & Dupes! On a bad day, there’s always lipstick and if it’s a bright lipstick then you’re set to conquer the world. No matter how off or sick I look, the time I apply a dash of bright or bold lip color, I instantly look and feel better. One of my favorites has to be the MAC Retro Matte in All Fired Up. 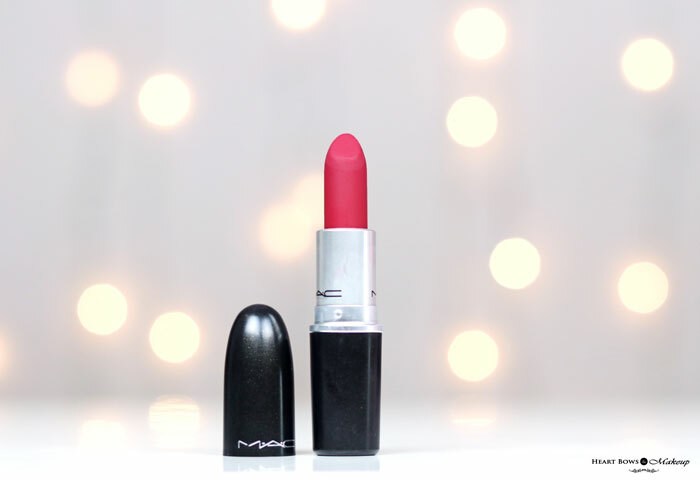 This beautiful pink-red lip color is one of my most loved MAC lippies and I love using this on days when I don’t feel like applying any makeup. Here is a detailed review and swatches on MAC All Fired up with its closest dupes. Can be bought online on Nykaa. 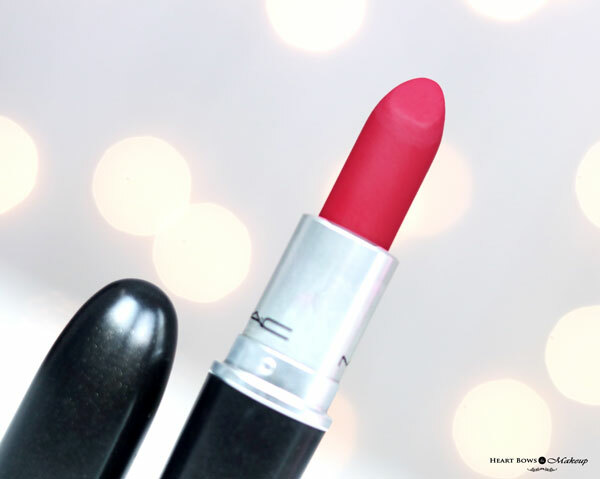 MAC All Fired Up Lipstick is packaged in a typical MAC packaging; a black bullet with the shade name mentioned on the bottom. I own quite a few MAC lipsticks and it is always a bit cumbersome finding a particular shade. I really wish they come out with flat lipstick caps so that I can store these upside down. Like their other lipsticks, All Fired Up also has a pleasant vanilla scent which will not irritate those with a sensitive nose. 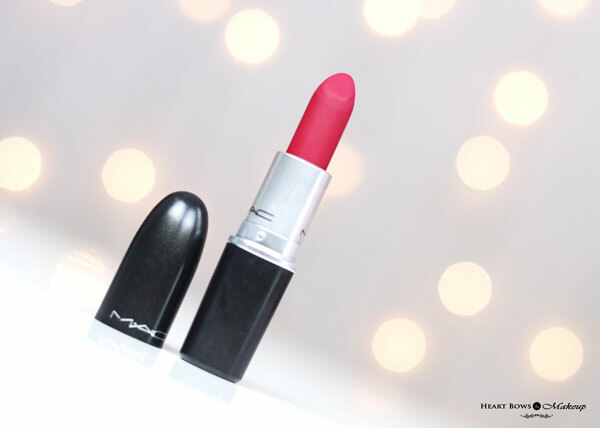 MAC Retro Matte All Fired Up Lipstick is described as a ‘bright fuchsia pink’ but it is a beautiful combination of red and pink. It is more pink than red and will flatter all complexions though I think it looks the best on warm Indian complexion. This is the shade that makes me look great even when I have no makeup on and I’ve always had my girlfriends ask me about the lip color. It is said to look very similar to MAC Relentlessly Red but I think the latter is a lot more coral. Surprisingly though, I found many close dupes for the color in my vanity so do check the end of the post for comparative swatches incase you don’t feel like spending too much on MAC. MAC Retro Matte Lipsticks are notorious for being extremely dry and unforgiving on the lips and this is no different. It gives a flat matte finish however it is easier to apply compared to the MAC Ruby Woo . Proper exfoliation prior to application is a must because being a retro matte finish, it can stick to the dry patches. Despite the unforgiving finish, I still find these easier to wear compared to some matte liquid lipsticks like the Colorpop Ultra Mattes & NYX Suede Cream Lipsticks. All Fired Up is super pigmented and a single swipe gives the true color. You can layer it up for a more vibrant finish and full coverage. I think it will cover up pigmentation on the lips really well. As for the wear time, it is very long lasting and easily stays put for a minimum of 5-6 hours. It does budge a bit if I eat something oily but leaves a beautiful pink stain behind. I still have a stain on my arms from swatching it yesterday for the pictures. 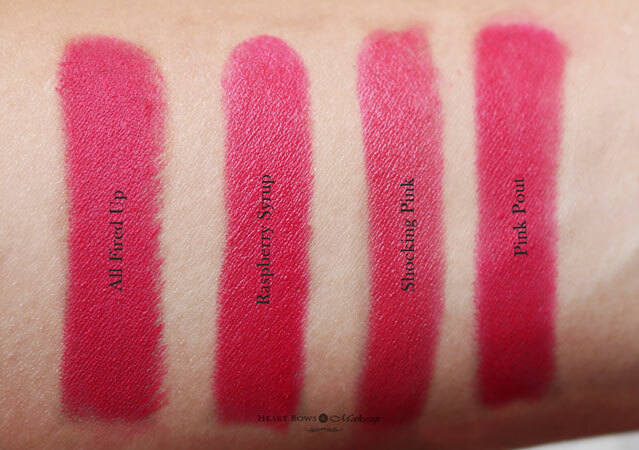 L’Oreal Moist Matte in Raspberry Syrup (Rs. 950) is one of the closest dupes for MAC All Fired Up which I’ve talked about previously. However, I found a couple more affordable dupes for the lipstick. 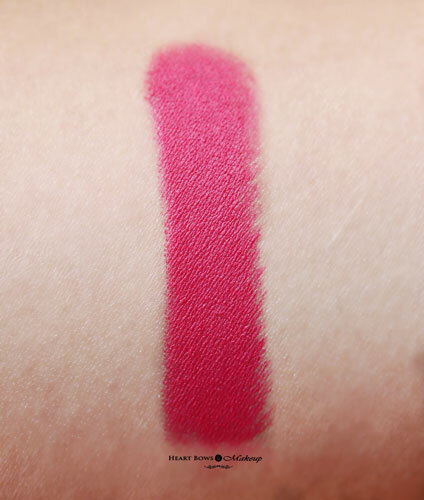 The cheapest being the Lakme Enrich Lip Crayon in Shocking Pink (Rs.185). However, the Lakme dupe isn’t as highly pigmented like the rest but it can be easily built up. I think it’s a great dupe for MAC All Fired Up if you’re on a budget and need something very similar. 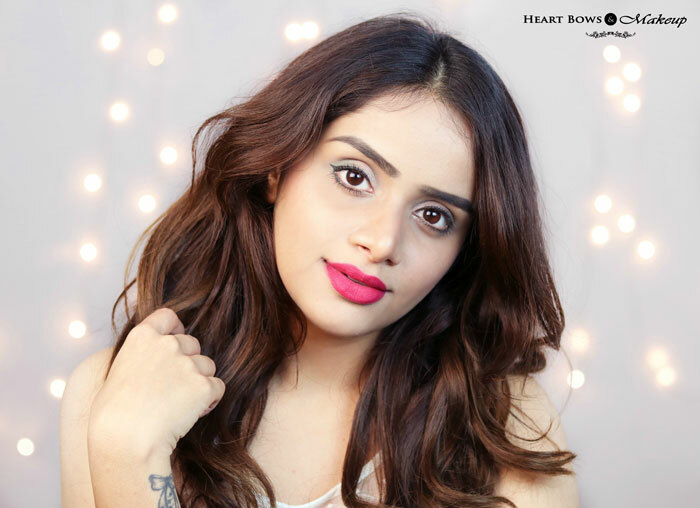 Another close dupe is the Faces Ultime Pro Matte Lip Crayon in Pink Pout (Rs. 599) which is also long lasting and highly saturated. 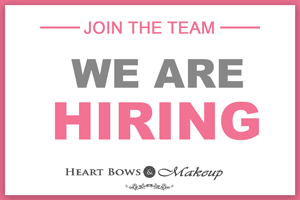 All the lip colors mentioned have a matte finish and are very comfortable on the lips. 4 / 5(Reviewed by Lisha B. )MAC Retro Matte All Fired Up Lipstick Review, Swatches, Price & Dupes! HBM Recommendation: MAC All Fired Up Lipstick is a beautiful pink with a red undertone which suits all skin tones. It instantly perks up the complexion and is a must have due to the color, pigmentation and wear time. The only drawback being the drying matte finish which might not be liked by some. That said, I still find this more comfortable to wear than some matte liquid lipstick popular in the market at the moment. My Long Hiatus: Battling The Writer’s Block!